Let’s face it, travel these days can be stressful. 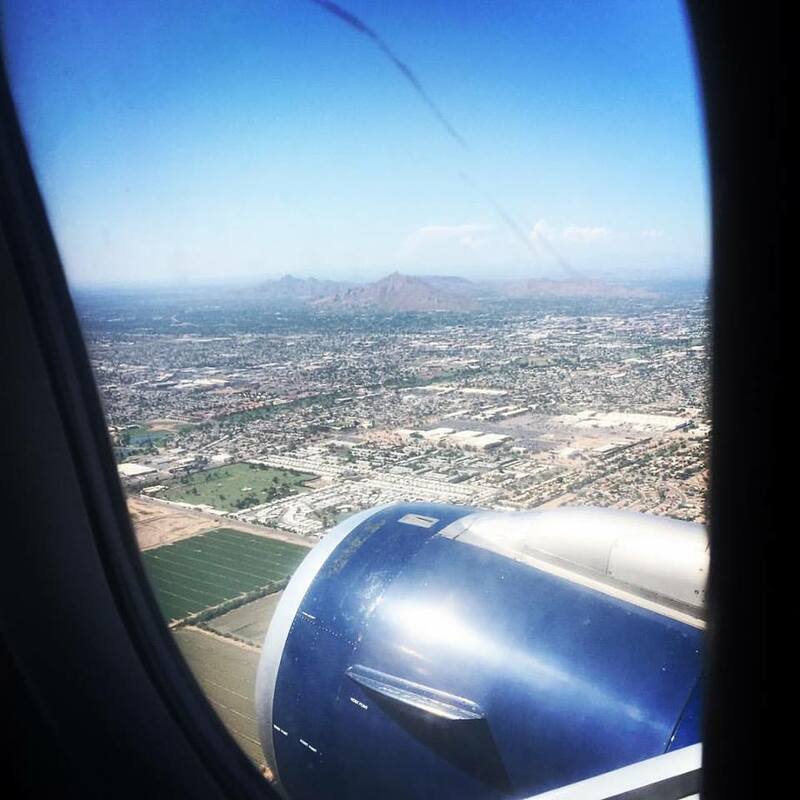 Over the years, I have developed some strategies that have actually made traveling fun for me again. I thought I’d share some tips that may help you find the fun in traveling as well. We’ve all stood in those long airport security lines watching other people breeze through the Pre-Approved TSA line. Why not become one of them? There are several programs out there (TSA PreCheck, Global Entry, CLEAR) that are easy to apply for and the application fees are nominal. I think there is a stigma with these programs that it will be a headache to apply for them. This is not the case. The process is quite simple and the majority of it is done online with the exception of the final interview which is done in person, usually at an airport or local office. The programs all vary slightly so you will want to read the fine print and decide which program best suits you. 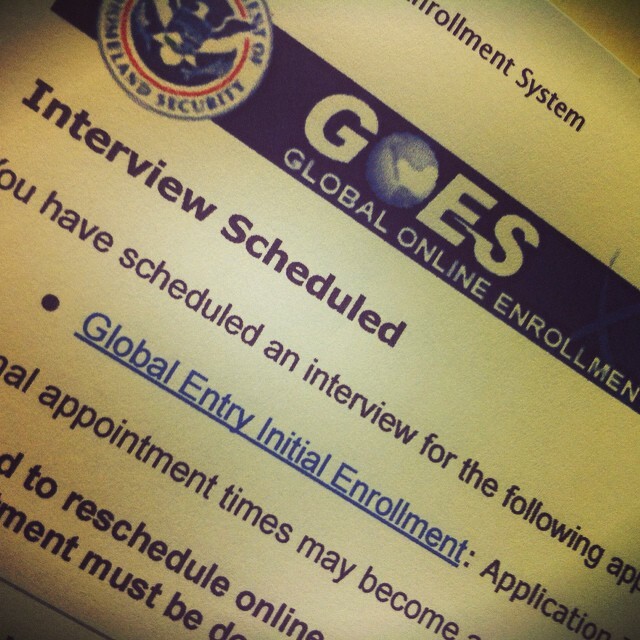 I chose the Global Entry card because it not only provides TSA PreCheck but also helps expedite you through Customs on international trips (at the international airports, not U.S. airports). Not only do these expedited airport security programs get you through the lines quicker, you won’t have the inconvenience of having to remove clothing items and shoes ~ making for a much more pleasant experience. My suggestion would be to get a card that accrues points that go towards any airline or hotel brand as opposed to one that only accrues points towards a specific brand. You will get much more flexibility if you can apply your points towards any type of travel or brand. Also, compare the number of points needed when cashing in for travel. Some only require a minimum of 25,000 points for a RT air ticket while others require a minimum of 60,000 points. That’s a significant difference. 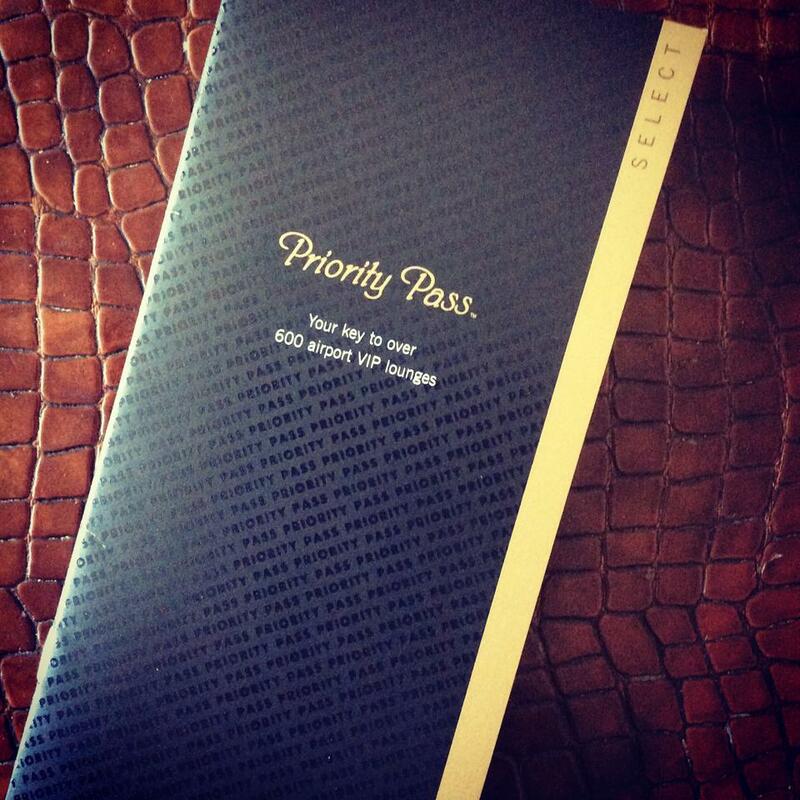 Priority Pass allows airport lounge access. You will find that many of these cards have annual fees, however, don’t let this scare you off immediately. See what benefits are being offered as it may be worth the fee, and in turn, the fee may end up paying for itself. I personally carry an American Express Platinum card that has one of the higher fees associated with it but when I looked at the benefits of the card I decided that I travel enough that it would be worth it…and I have not regretted that decision. Choosing this card has made traveling so much more enjoyable for me in the sense that the card allows me airport lounge access (this alone is worth it! ), offers travel insurance, reimburses for the Global Entry card fee, reimburses $200 annually for airline fees such as baggage fees, airline food, seat upgrades and more (you must choose a carrier for this option but it can be changed annually), there are no foreign transaction fees, I earn points on all my purchases and even earn points when using points to book my travel..and so much more! I make it a point to fully utilize all the benefits the card offers. Points accrue quickly when you pay for personal bills that accept credit card payment that you would otherwise be paying by cash. It’s a quick way to rack up those points and you’ll be traveling for free (and in style) in no time. Used correctly, the perks and benefits these cards offer can change the way you travel. I realize there isn’t always an option to schedule your travels during off-peak hours, nor is it fun to wake up at the crack of dawn; however, I find that by departing early morning (prior to 7 am) most airports have a peaceful atmosphere with minimal traffic. I also find choosing red-eye flights a good option for the same reason. Avoiding travel on Friday’s and Sunday’s is also a good way to steer clear of the masses as those are heavy travel days. By slightly shifting your schedule, you may have a much more relaxed and enjoyable experience at the airport. When booking your flight, choose Direct or Non-Stop* flights when possible. Choosing this option reduces the likelihood of running into delays, missed connections, and other inconveniences associated with layovers, not to mention the fact that it’s the shortest duration of travel time. *The difference between a Direct and Non-Stop flight is that a Direct flight may make a stop during its route but the passenger stays on the plane. A Non-Stop flight is exactly that, a flight that has no stops during its route. Some prefer the window seat, some prefer the aisle but I don’t believe I’ve ever met anyone who prefers the middle seat. If you’re traveling with a partner and feel strongly about sitting next to them, then you don’t have a choice ~ someone will end up in the middle seat but you do have options. I’m an aisle person myself, however, when traveling coach with someone else, my booking strategy is to either choose two aisle seats across from one another or to book one by the window and one by the aisle, leaving the middle seat open. Yes, there is the risk that someone will be seated in between but my comfort for the duration of the trip is more important to me. Small sacrifices can be the difference between being comfortable and being miserable for the duration of a flight. All planes have seats that have pros and cons to them. The site SeatGuru.com is a great resource for showing you the exact plane you will be traveling on (you enter the airline, flight number, and date) and where the best seats are located on that plane. This will help you choose the best seat possible no matter what class you are flying in. And PS – it never hurts to ask for an upgrade at the airline desk, it might be your lucky day. Checking in online prior to arrival at the airport offers many benefits such as the opportunity to possibly choose premium seats (some airlines open their premium or emergency exit seats during this 24 hour period at no cost), you significantly reduce your chance of being bumped off the flight should it be over-booked, you will be processed quicker at the airport and sometimes when lines are very long, passengers with printed boarding passes are allowed to go through an express line to check-in luggage only. And no fear, even if you have printed your boarding pass, changes can always be made at the airline desk. Early check-in is always a good idea. Who knows why, but mysterious things happen. There have been a few circumstances where I thought I had everything in place, only to find out at the very last minute that I didn’t…or the receiving end didn’t. It is much more efficient to deal with a potential problem prior to your departure, then to be standing at a check-in desk and potentially have no reservations. My motto is “check, check and double check”. A little time spent confirming your plans may save you from a major disaster. Nothing causes stress more than being late. There’s nothing worse than that feeling of having to get through security and run through the airport with your belongings in tow, trying to get to a gate on time…and have you noticed, it’s always the furthest gate away. We’ve all been there at one time or another. That is why I always err on the side of allowing too much time. I would much rather have a little extra time, grab a cup of coffee and read a magazine than the prior option. Making the simple decision to arrive early can be the difference between being relaxed and in a good mood or being irritated and at your wits end. Keeping all your documents in one convenient location eliminates the stress of scrambling for ticket confirmations, forms of ID, etc that may be thrown in a case. I haven’t reached the point where I fully trust only keeping electronic copies of my confirmations ~ too afraid of my phone blowing up or something ~ so I always bring one folder that houses all my printed trip confirmations from airline tickets, car and hotel reservations to my form of travel ID’s. I even arrange the confirmations in the order of my trip so that the documents I need are located on top, i.e. airport transportation, airline tickets, car rental, hotel confirmation. A little obsessive…maybe ~ but it certainly makes it easy for me to access what I need at a moment’s notice and saves me from feeling flustered when I can’t locate a document with 20 people standing in line behind me. And just in case, I do keep electronic copies of my confirmations handy on my smartphone in the event something gets lost. This may seem like a no-brainer but somehow it’s easy to become a slave to fashion. And what you think is comfortable at home, may not be so comfortable when you’re running through the airport in four inch heels or wearing tight clothing, pinching your skin, while sitting in cramped seats on a long flight. Loose clothing, slip-on flats and a travel-size purse with a shoulder strap to keep your hands free make for the ultimate in comfort on travel days. Some of you may or may not agree with me here, but I am only speaking from my experience. I almost always check-in my bag. I find it much less stressful to check my bag in and to not have to worry about the size of my suitcase, whether or not I am carrying excessive liquid amounts, lugging it throughout the airport and then fighting for over-head compartment space. Whether it’s a carry-on or check-in bag, most of us have to exit through the baggage area anyway, and with how quickly luggage is processed off the planes these days, I find it much more convenient to check-in my luggage. 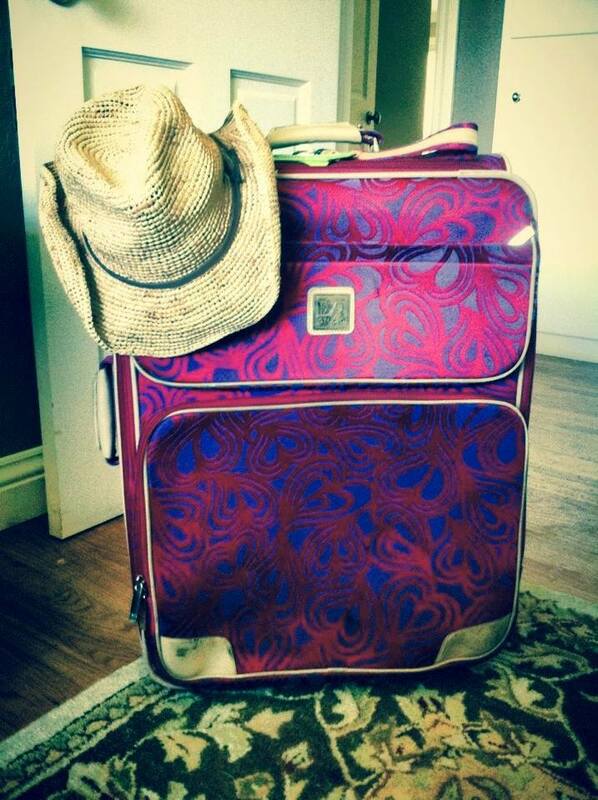 And if you do check-in your luggage keep in mind everyone, and I mean everyone has a black suitcase. How many times have you pushed someone aside to get to the conveyor belt only to discover it was not your suitcase. Oh, but you have a unique tag on yours…yeah, those can come off (I know from experience). It may not be the most desirable in chic luxury, but I have a bright pink suitcase with a unique pattern on it that I bring on all my trips. I can’t tell you how happy it makes me when I see my bright, pink bag rounding the corner while others are scrambling to read name tags on all the black suitcases. Choose to color outside the lines, and get something different. It’s just another way to take a little stress off your plate. These tried and true tips have truly helped streamline my experience while traveling, and dare I say, even make my experiences enjoyable again. I hope you find something useful in any one of these tips and that they help you to enjoy your future travels. If you have helpful tips to share, I’d love to hear them. Post a comment. Safe travels!